Toledo Spring can get you back on the road fast with our quality services. Service is our #1 Priority at Toledo Spring. 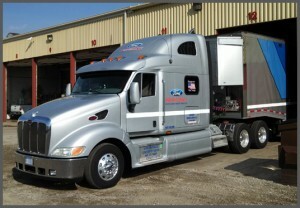 We know how important your job is to you and we want to get you back on the road. Over 90% of the repairs we preform are complete the same day! We do not just close at 10 PM, if we are working on a job we will finish it 98% of the time. At Toledo Spring, we go the distance to do the best job possible.